Here’s the rest of our interview with Michael Franti at the Jackson Hole Mountain Festival, plus a few outtakes. This video was filmed immediately before Franti went on stage with Spearhead to perform for about 4,000 people huddled in the cold at Teton Village. Two nights later, we showed his anti-war documentary, “I Know I’m Not Alone,” to raise money for the Middle East Children’s Alliance, a charity he supports. Franti talks about his trip to the Middle East, electing a new U.S. president and the fact that he was wearing shoes for the first time in eight years. Thanks again to everyone who turned out last night for the showing of “I Know I’m Not Alone” at Center for the Arts, and to everyone who pitched in to make it possible, especially the Art Association and the center. Looks like we’ll wind up raising nearly $3,000 for the Middle East Children’s Alliance. I couldn’t help but notice the profound impact the movie made on the faces of people leaving the theater. There were several filmmakers in the audience who left feeling the bar had been set higher for their work. If you couldn’t make the showing, check out the movie some other time. It’s available on Netflix and Michael Franti’s Web sites. I have a couple of copies people are welcome to borrow to have a screening with friends. In the interview posted yesterday, Franti said of his motivation for traveling to Baghdad and working to make peace, “If I don’t do this now, who else will?” It’s the question at the heart of activism. Looking up at the packed theater last night, I thought we had an answer for Michael: We will. 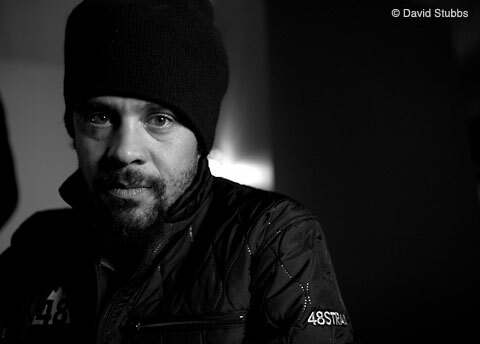 Tonight is the screening of Michael Franti’s documentary “I Know I’m Not Alone” at Center for the Arts. The movie follows his trip to Baghdad, Israel and Palestine in 2004, when he and a group of friends set out to explore the war zones armed only with video cameras and a guitar. Here is an excerpt from our interview with Franti, in which he talks about his motivation for going to the Middle East and recounts his first attempt at snowboarding in Jackson Hole. We will be showing this interview tonight before the film, as well as a special message from Franti to the audience. Showtime is 7 p.m. Doors will open at 6, and pizza and beer will be available for purchase. 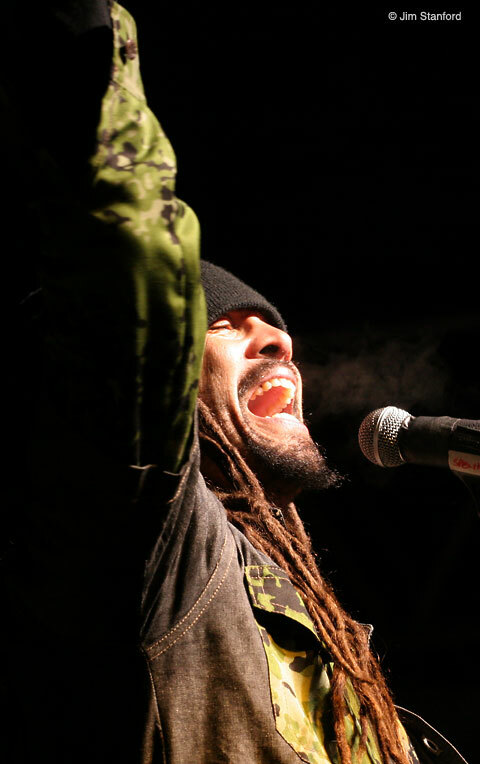 On Saturday, Franti and Spearhead came to Teton Village to share the gift of music. Here’s our chance to return the love. “Wyoming, are you feeling the dance?” Michael Franti shouted near the end of his show Saturday at the Jackson Hole Mountain Festival. No, Franti and Spearhead would not relent, much like a winter that has brought 550 inches of snow to the Tetons. Dreadlocks flying from beneath his cap, the towering singer and guitarist bounced across the stage as if flying down the Alta Chutes. His set spanned 20 songs and more than two hours. Despite the cold, wind and snow outside, I’m holding out faith for the skies to clear and calm by the time Michael Franti and Spearhead take the stage this evening at Teton Village. If not, we’ll be dancing in the storm.